If you want to treat mom for breakfast or brunch on Sunday morning, we highly recommend downloading the Zomato app. It has an impressive directory of restaurants in South Africa which includes, contact details, full menu, operating hours, directions, and most importantly, user-generated reviews. Check out Zomato Collections to find the ideal, indulgent spot for mom. Cities covered are Cape Town, Durban, Garden Route, Hartbeespoort, Johannesburg, Pretoria and Richards Bay. If you want to go a step further and pull out all the stops, try making a meal from scratch. 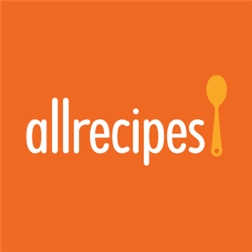 One of the best resources online, with over 50 000 options is Allrecipes. It has a community of more than 40 million cooks. Sift for ideas by cuisine, ingredient, dish type, etc; recipes include photos, nutritional information, or step-by-step video instructions. Spoil mom with her favourite perfume, beauty products or even clothes by browsing first on the Edgars app. Use the app to see if the product or correct size item is available at your nearest store. Once you order it, you can have the product delivered to your closest branch. If you live away from mom, one of the best personalised messages you can send are photos of you together. Download the PhotoCollage app, which is free, and start putting your special moments together in one picture. There are a variety of layouts to choose from, including wallpapers and photo walls. 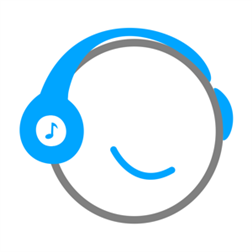 A really nice surprise would be to create a music playlist of mom’s favourite songs. Giving you instant access to more than 27 million tracks, Simfy Africa offers the ultimate music experience on the move. Sign up for Simfy Africa with your Lumia and enjoy a free 3-month subscription worth R170. Once you’re done creating her playlist, just save it for offline listening so she wouldn’t need an internet connection to listen to it, from anywhere! Mango (Free) Mango and Microsoft celebrate launch of the Mango app with R 1 flights. The app is available for all devices operating Microsoft’s Windows 8.1 operating system. In celebration of the app launch, the airline has made Windows exclusive fares available from R 1 for a limited time (Terms & Conditions do apply). If you live away from mom download this app and book a flight and surprise her. Offer is limited to the first 10 000 seats! Have a great day with your creator who have and always will support you throughout her life. Make this one special for her and cherish the memories of being with her!